Thanks to my wonderful guests who attended the tasting this afternoon. I was glad to meet a few new people and see some good friends’ faces. I hope to see all of you again at a tasting in the future. 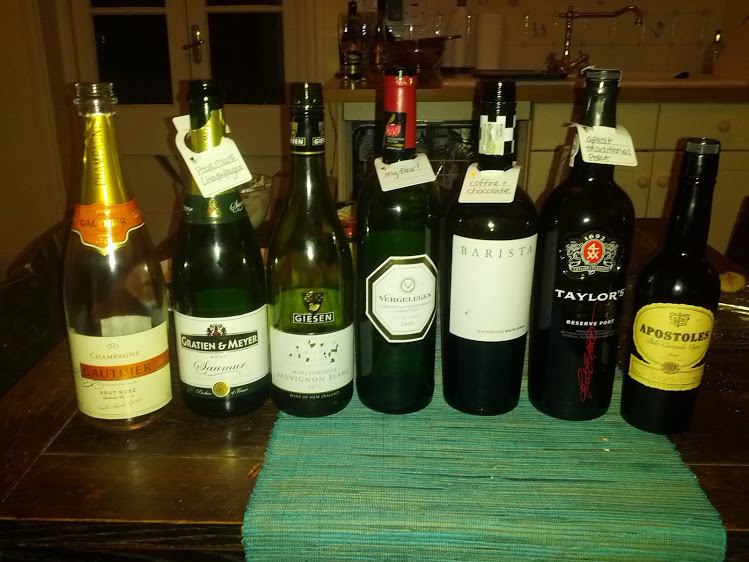 As promised, here is a list of the wines that we went through today. -My favourite region in Spain is Bierzo. There are some stunning examples available but a lovely one that is widely available is Petalos, Bierzo 2009. –Viu Manent Reserve Carmenere is an absolute stunner and highly recommended if you enjoy this style. I will be posting new dates shortly. If you’re interested in learning more about wine – or just meeting some new people – make sure to sign up! I will look forward to hosting you. Thanks Kristen – we had a fantastic time. Really enjoyed meeting the rest of the group, seeing your lovely flat and learning about some great wine. We’ll be back for more! Did you ever get hold of the recipe for that amazing cake?